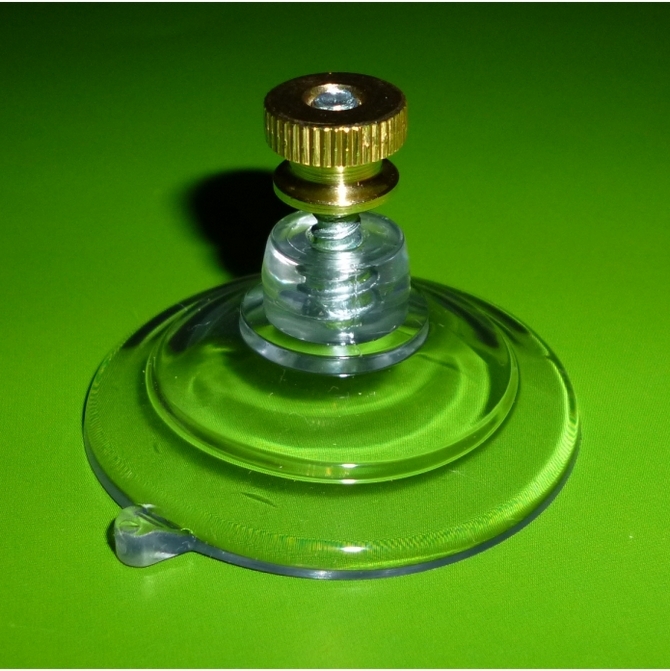 Suction cup with screw stud and nut. Suction Cups Direct. 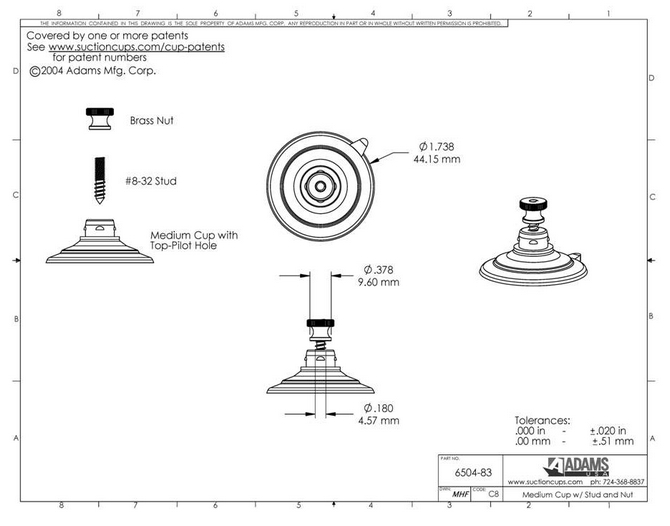 Adams 47mm suction cups are rated to hold 3 pounds (1.36 kgs)* each in weight. 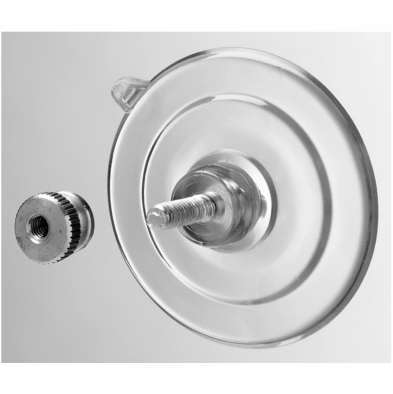 The screw stud is approx 4mm in diameter and protrudes out of the suction cup by approx. 10-12mm. When the brass nut is attached, there is approx. a maximum 8mm gap between the bottom of the nut and the top of the suction cup neck due to a couple of turns required for the brass nut to bite. Adams suction cups fix securely to a flat, clean, dry, slick/shiny non porous, non textured surface like glass, mirrors, glazed ceramic tiles, glossy plastic, car bodywork etc. *See terms and conditions for push in/screw in fittings.